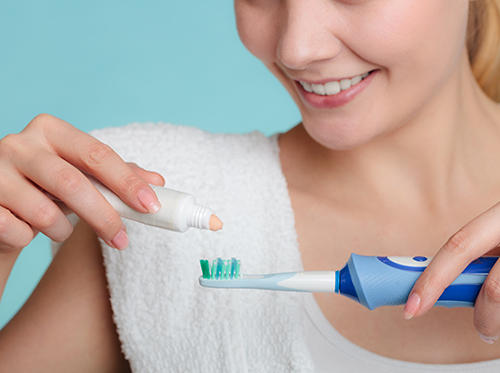 When you're ready to make your decision, make sure to consult with Dr. Jeff and Amber Reinking at our Dakota Dunes or Sioux City, SD office to decide which electric toothbrush is right for you! Yes, indeed! While brushing, flossing, and regular visits to Tri State Dental Care are all key to maintaining a healthy smile and mouth, Dr. Jeff and Amber Reinking and our team want you to know the state of your oral health has a significant effect on your overall health. Dr. Jeff and Amber Reinking and our team at Tri State Dental Care are experts in identifying and treating periodontal disease. Give us a call today at our convenient Dakota Dunes or Sioux City, SD office to schedule an appointment to improve your oral health and your overall health, too! All of this sounds scary, but the good news is that sleep apnea can be treated! One of the most common ways Dr. Jeff and Amber Reinking can treat sleep apnea is by creating an oral device for you to wear while you sleep. 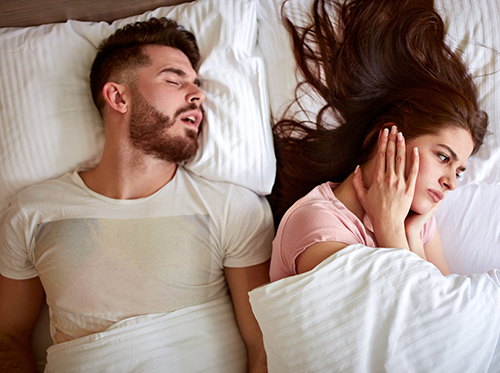 If you’re unsure about whether you may suffer from sleep apnea, visit our Dakota Dunes or Sioux City, SD office and let Dr. Jeff and Amber Reinking know. We can determine the appropriate treatment if any is needed. Don’t risk losing another night’s sleep over something we can easily treat! If you’ve noticed that your teeth have appeared to be longer, you may be suffering from gum recession. This is a common problem among adults, and can result from several factors. If gum recession seems to be happening in your mouth, schedule an appointment at our Dakota Dunes or Sioux City, SD office. We will take a look and figure out the cause, and help you decide on the best treatment. The first thing Dr. Jeff and Amber Reinking will do is take measurements of the recession to see if the cause could be periodontal disease. Based on how much attached gingiva is present on the gums, a varying amount of gum recession will be present. If this happens over a long period, microscopic breaks in your enamel will cause your gum line to move away from your teeth. An occlusal guard may serve as a solution to gum recession caused by teeth grinding. Talk to Dr. Jeff and Amber Reinking about this option if you consistently wake up with jaw pain, headaches, or uncomfortable pressure on the sides of your face. There are several options for treatment of gum recession. Depending on the cause, Dr. Jeff and Amber Reinking will talk with you to decide the best treatment plan. Care may involve a deep cleaning or an antibiotic treatment. In serious cases, treatment might involve pocket-depth reduction, a soft tissue draft, or gum regeneration surgery. 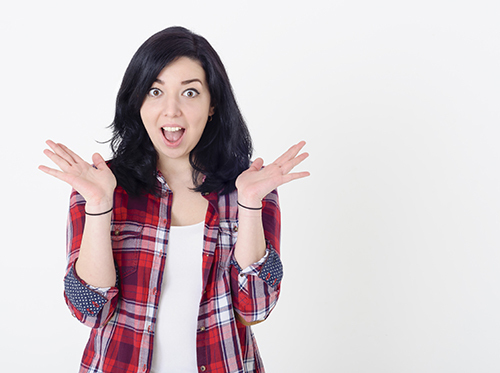 Please call our Dakota Dunes or Sioux City, SD office to schedule an appointment if you’ve noticed any elongating of your teeth or recurring irritation of the gums. We will work as hard as possible to help rid you of your gum recession and prevent it from getting worse in the future.